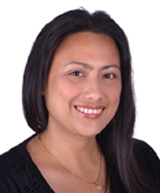 Kristine came to Canada after twelve years of service in the human resource, academe, social welfare and other private organizations in the Philippines. She worked as a consultant for human resources development, coordinator for the establishment of an early childhood care and development program, school and career counselor, trainer and university instructor, and psychologist who specializes in neuropsychological evaluation and psychotherapy. Eager to put her mark on Canadian society, Kristine has been working her way up the ladder and recently, became a Registered Clinical Counselor in British Columbia. Her eclectic approach in clinical counseling includes building experiential relationships with clients resulting into life-changing dialogues, effective communication, and behavior change designed to improve the mental health of clients and improved personal and group relationships. Her passion towards human development leads her to explore the realm of career counseling as she desires to make meaningful contribution to the individual's career exploration and assist to investigate career choices, options, and opportunities available using theoretical, philosophical and practical approaches. She brings the promise of enriching inter-cultural and global perspective of career management to better serve diverse clientele. Kristine's credentials include a Master of Education in Guidance and Counseling and Ph.D. in Psychology. "Kristine was amazing, accommodating and understanding. She is a great asset to your team"
"Kristine is an excellent instructor!